« Roger Ord – Arsenal keeper who made his last appearance 17 March 1900. 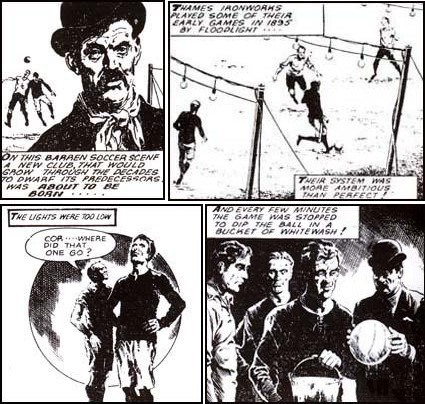 16 March: Arsenal’s first floodlit game – but what year? Herbert Chapman is credited with trying to introduce floodlit football to England. 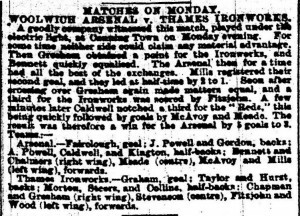 Arsenal played a couple of floodlit games behind closed doors during the early 1930s but the football authorities were not favourable to it. Floodlit football was finally given the go ahead in the 1950s and it has been assumed that the first official game that Arsenal played under artifical lights was a friendly against Hapoel Tel-Aviv on 19 September 1951. 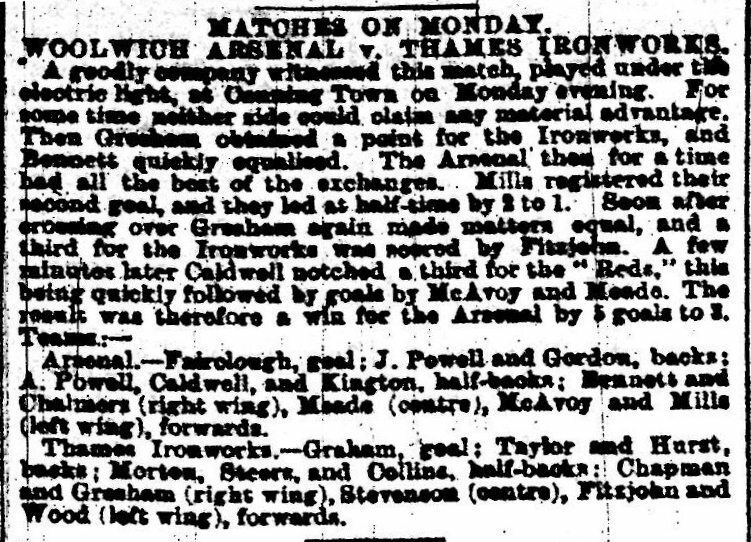 But, more than 50 years before this date Woolwich Arsenal’s reserves took part in a game under “electric light” at Canning Town where they played the newly formed Thames Ironworks. The date was 16 March 1896. The cutting below from the Evening Standard in 1960 gives an idea of how the lights were arranged. It looks like there were one or two impracticalities associated with the arrangement. Not least the fact that the lights, according to Arsenal director George Lawrance, had a tendency to fail when Arsenal came close to scoring. 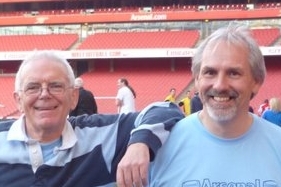 However, Arsenal’s reserves overcame these dastardly tactics and came out winners by the score of 5-3. Below is a match report of the game from the Kentish Mercury (click on the report to enlarge it).